Be a friend to Wildwood and donate to the Park to support our goals through an annual gift, honorariums and memorials. Wildwood also appreciates your in-kind gifts. Your gift makes Wildwood a better place for the entire community! Interested in becoming a member at Wildwood? Click the image below to become a member today! Want to mail in your membership form? Click here to download a printable pdf. Are you a Kroger customer? Click here to find out to donate to Wildwood each time you shop! 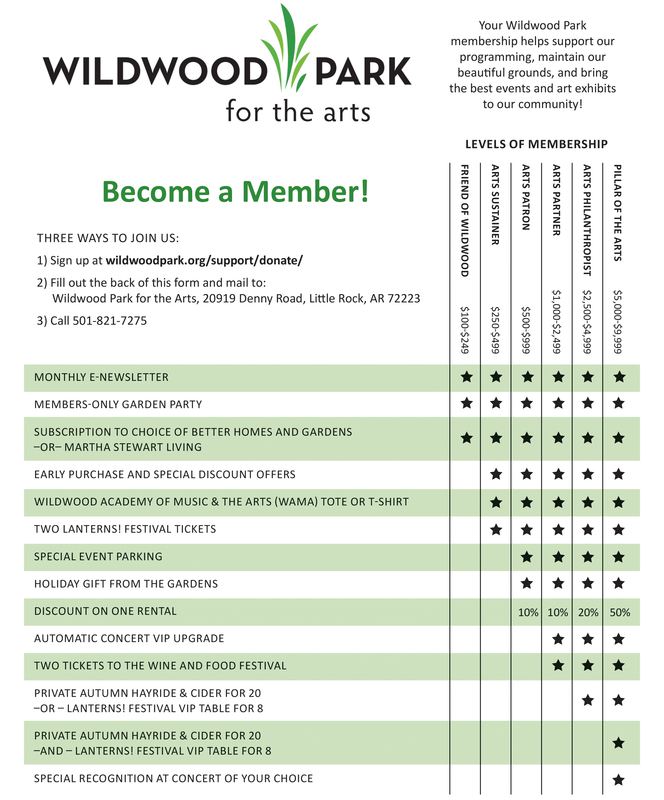 Enter Wildwood Park for the Arts and select organization from list and click on confirm.